Whether it’s in person or a comment on Facebook, we hear this kind of talk all the time. After all, I do think it’s a natural first response for someone who has never encountered the idea of lockpicking as a mechanical puzzle, a mind and motor skill challenge, or a hobby.The truth is that our first response isn’t always the best or most logical response. 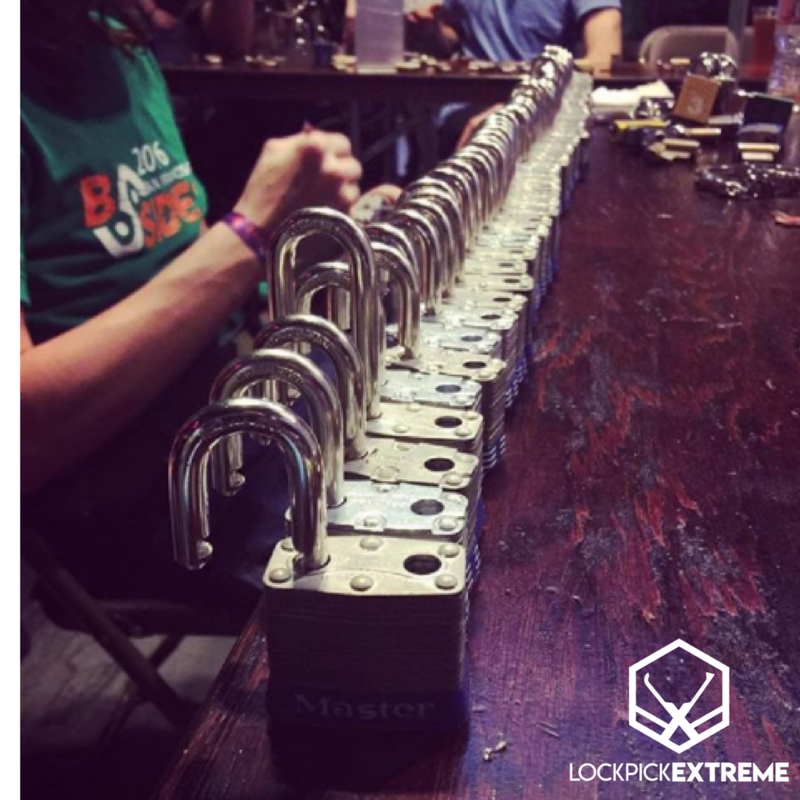 Last year LockEx attended a large ComicCon event in Phoenix. It was our first time doing anything in the state of Arizona and we found that many people didn’t understand our purpose. We even encountered people we simply said, “hi” to passing by, that with one look at our “lockpicking” sign, quickly backed away saying they didn’t want anything to do with something criminal. If we were given the chance, in the most friendly way tried to explain that there was nothing illegal about what we did and that they could do it too. A majority of the time, the people who we hear these kinds of complaints or comments from aren’t being illogical or even malicious. They come from a place of concern and fear. But the truth is that when we dig deeper into the issue, there is a deep flaw in the argument that lockpicking generates criminals or should be some super secret information that only an elite group should have access to. Pickers learning new skills at The Diana Initiative, a subconference of DEFCON held yearly in Las Vegas. Think about the most common burglary tactics we hear about. A burglar will case a target neighborhood for a few weeks watching different homeowner’s habits such as regular times they are away or if they open and then forget to relock that living room window every afternoon the sun happens to be out. Another example is the burglar who approaches a front door and rings the bell. If someone answers the door, they make up an excuse needing to borrow a phone to call a tow truck. If no one answers, they will try to open the front door and hope someone forgot to lock it before leaving the house. These are both good tactics for criminals because even if a watchful eye gets suspicious and calls the police, the would-be burglar has done nothing wrong and nobody can prove they had malicious intent. Bottom line is that they leave the burglar with an out. Acting suspiciously and then having the police find lockpicking tools is the opposite of what burglars want. None of these things are conducive to lockpicking as an entry solution. 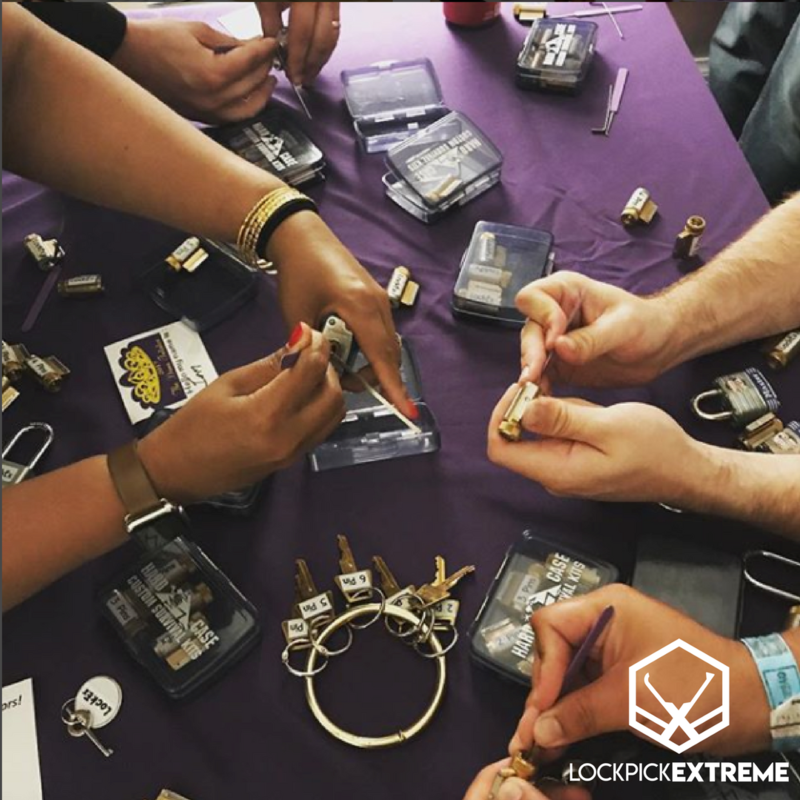 Anybody who can pick a lock will you tell you that in order to make your skill reliable, it takes time, knowledge, self-study and research, patience, and an investment in tools. Getting lucky with an unlocked door, kicking a door in, or a rock through the window are all far more probable scenarios when it comes to burglaries. The thing that we really need to ask ourselves is how, as a society, do we handle knowledge and the rights of its people. Do we want to have a society where the method of keeping people safe is to hide knowledge? By arguing that it’s irresponsible to make knowledge about locks, how they work and how to pick them, you’re also saying that in order to keep people safe, those people shouldn’t know or understand how the locks that protect their property works or what vulnerabilities they have. This seems like a very poor solution since it renders people unable to make informative and knowledge-based decisions about their home security. You might have heard about lock companies becoming angry with people who expose their product’s flaws or vulnerabilities online. It seems like a very lazy solution and a solution that doesn’t really care about the security that its customers depend on, to attempt for this information be taken down or hidden. A company that truly cares about the quality of security they are supposed to be providing would take the information that is given to them, public or not, and attempt to make their product better. If there is a security flaw with a product, the solution is to make the product better by removing that flaw. Stopping information about the flaw is an attempt to cover up a symptom and not address the root of the problem. In the end, I can’t really find any logic in saying that says hobby lockpickers are the scary and negative impact on society that they are sometimes given. Can someone use lockpicks to commit a crime? Yes, but the world isn’t so black and white. Concentrating on “what ifs” and not focusing on improvements based on data and knowledge creates a world far too chaotic and fear-based for my preference. People often fear and attempt to rid of something they don’t know or understand. The only remedy for this is to speak up and to keep sharing knowledge. LockEx, as often as possible, in a friendly and polite way tries to explain the points that I’ve brought up in this post and hope to help more people understand our purpose and interests. For other further reading, check out this article by Uncensored Tactical called, “Defending Open Source Lock Picking Etc,” that give more great highlights and insights. Have you ever encountered someone who made comments about hobby pickers? What was your reaction? Let us know in the comments section; we’d love to hear your stories!